This award celebrates successful attainment of personal and professional goals. 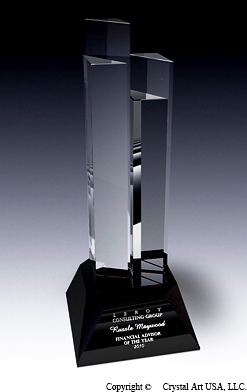 The brilliance of the striking combination of clear and black crystal sets this award apart. The design features four growth towers reaching up from the black crystal foundation.